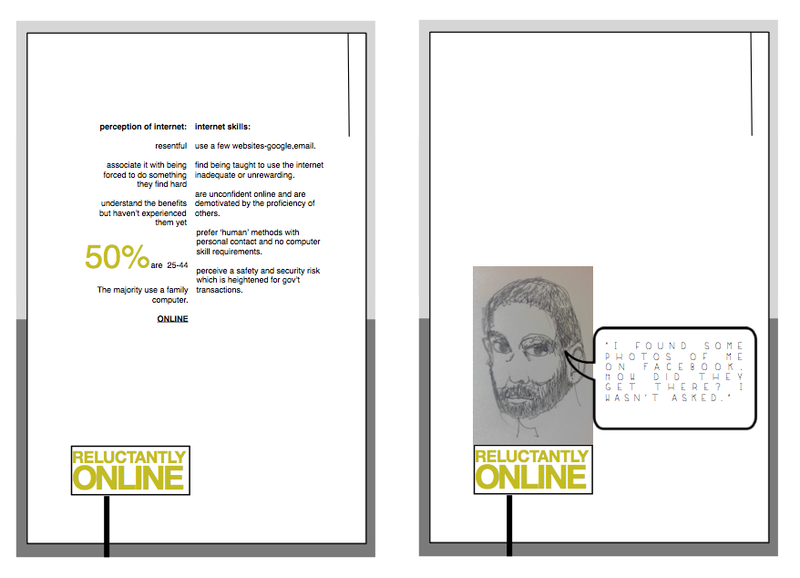 I created persona cards using statistics showing the categories of internet literacy for people in the UK. 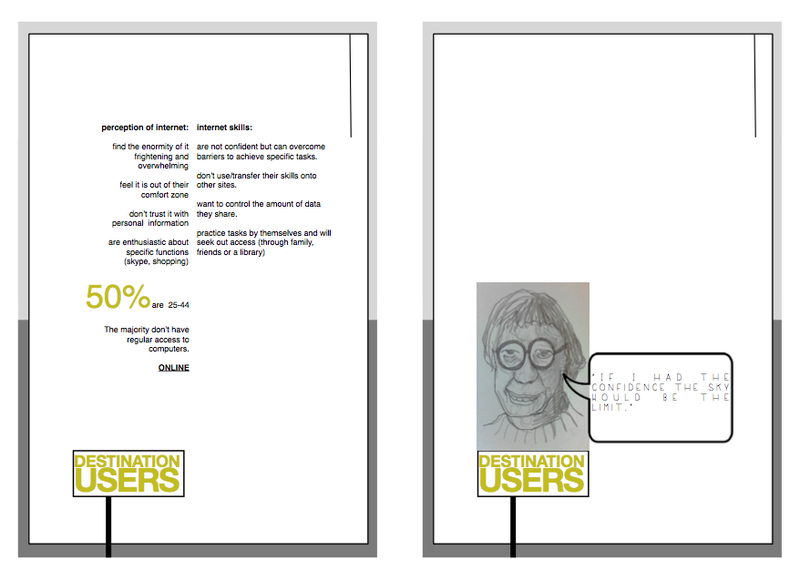 The statistics were taken from the ‘Digital Landscape Research’ by 2CV. 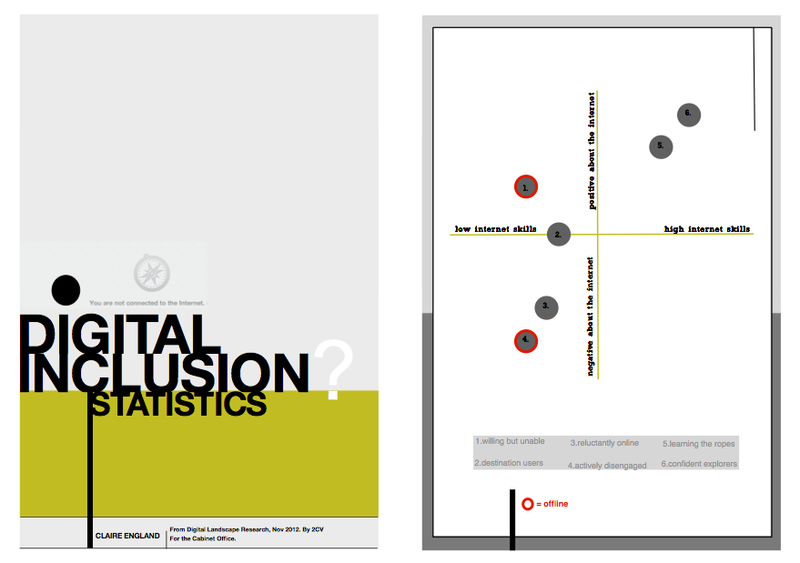 Rather than repeating this body of research, I felt there was a value in turning the national statistics into easily accessible reading material for others to understand. 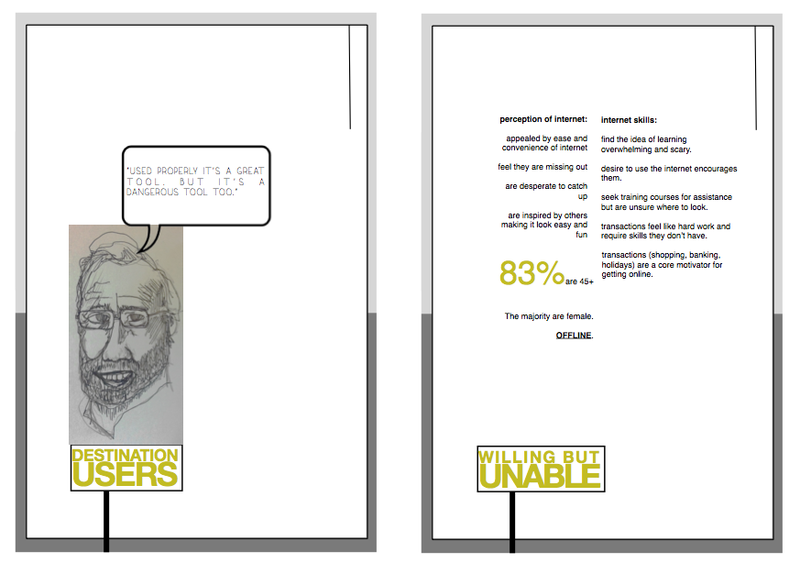 The statistics support my project by showing the need for assisted digital services. 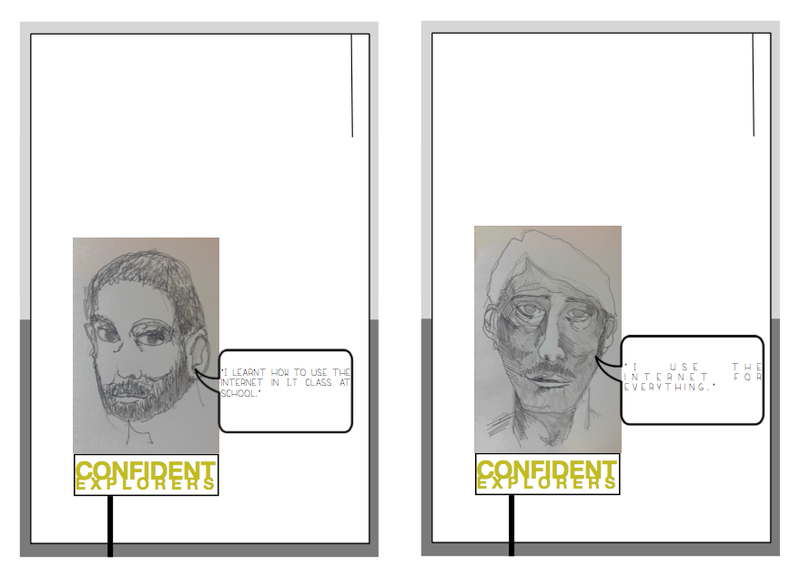 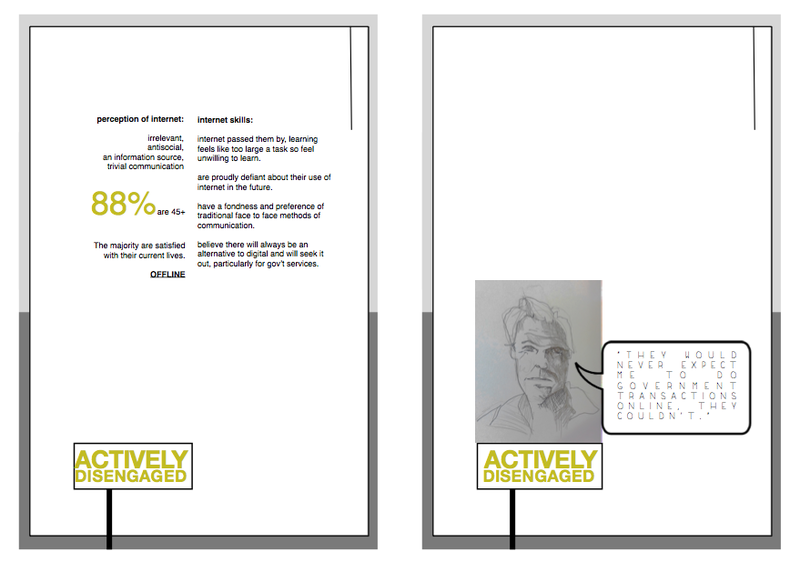 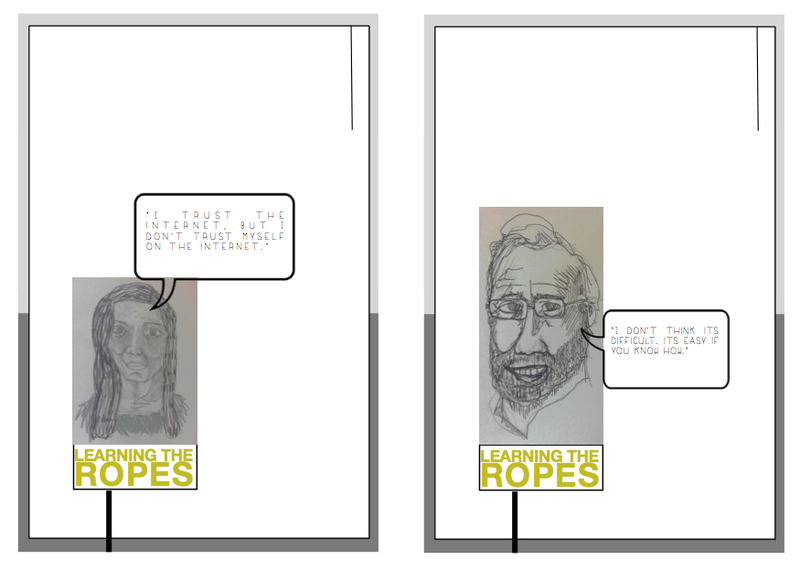 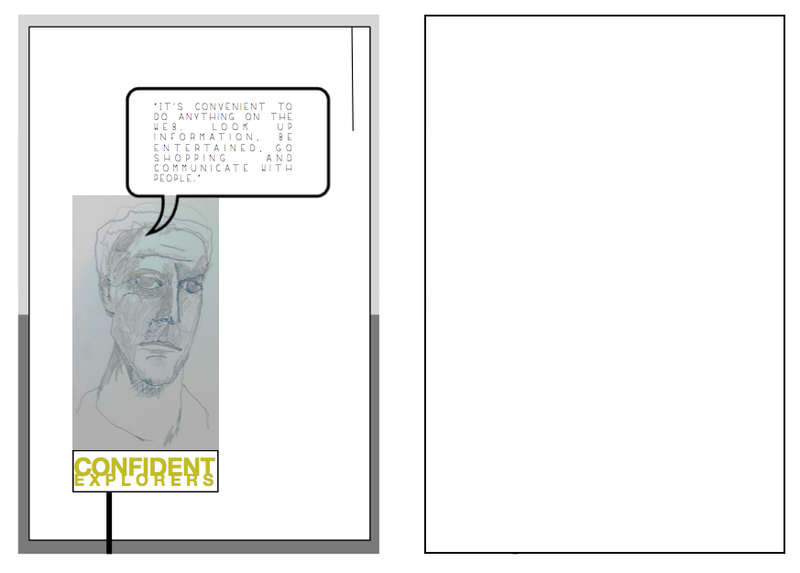 Furthermore, I felt that visualising the report using my own drawings of people, next to public opinions pulled from the report, was an improved method of communicating the report findings. 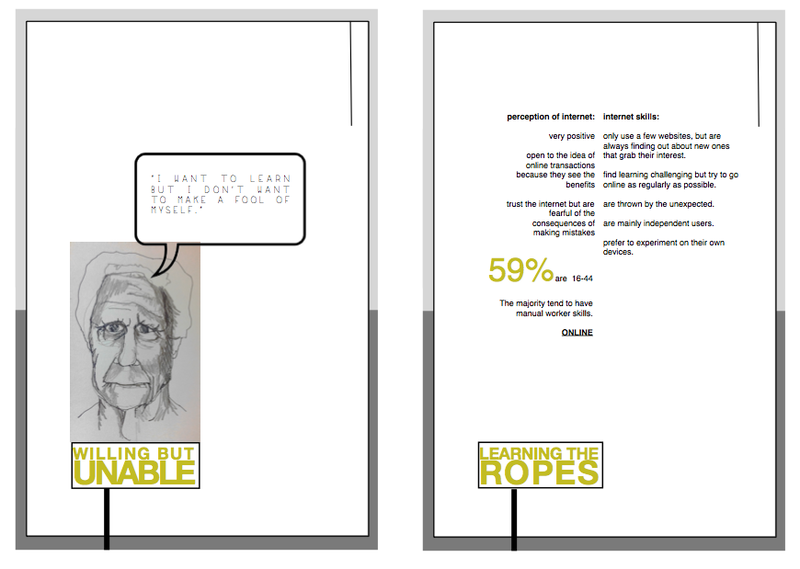 The statistics are harder to ignore with the added emotional value that the pictures create. 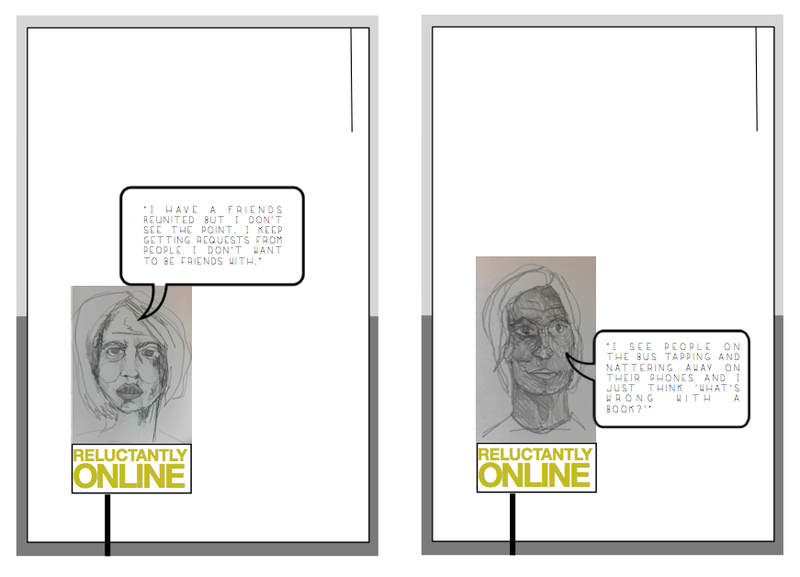 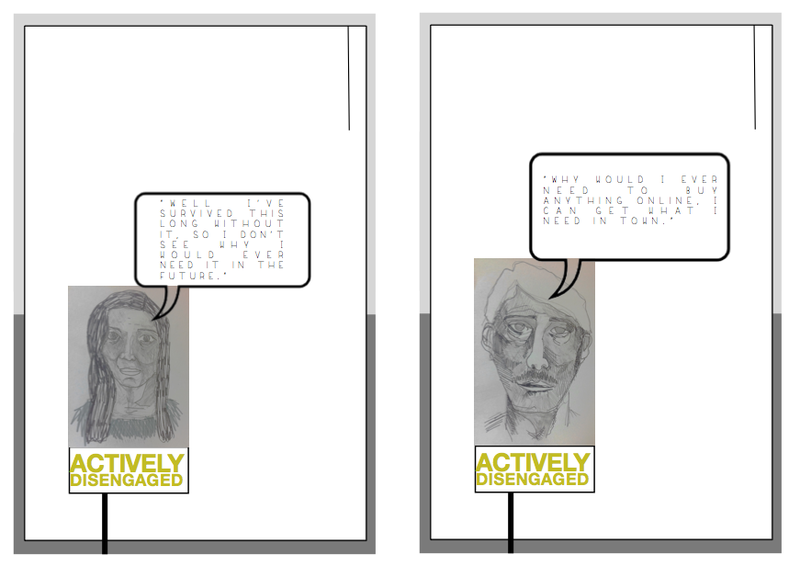 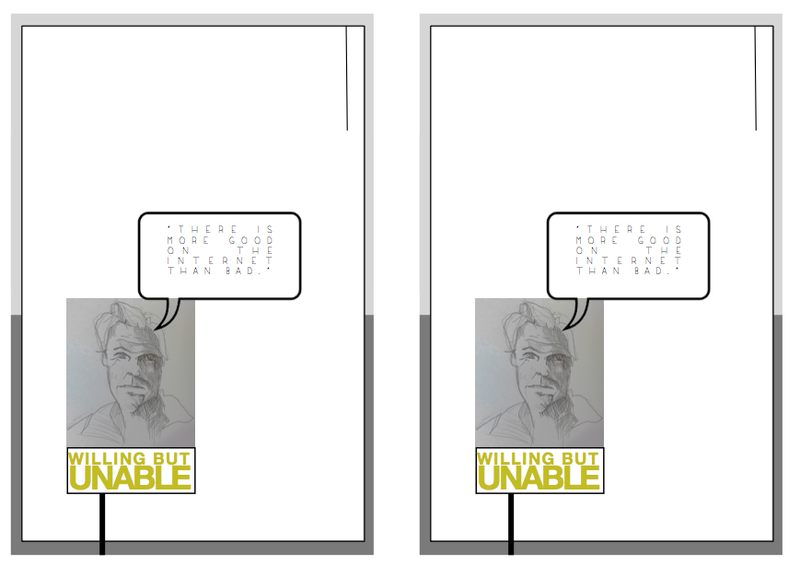 I have been using them as dialogue tools to guide and trigger conversations throughout the project.